To enter into any profession every person needs to be a good communicator. The prerequisite for anyone is to have effective communicative abilities. The focus of the educational institutes is mostly on improving communicative abilities of the students. The new technological inventions and its advanced products have made communicative system easier for students. The students have become more computer savvy. The language laboratories help the students in practicing and assessing their speech performance and compare it with the models provided to them in language laboratory. The students can assess their performance by comparing it with software made available in the laboratory. 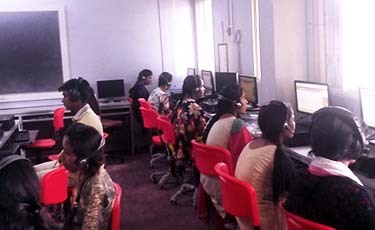 The college has a well-furnished language laboratory, having 26 computers along with all the necessary electronic equipment facilities like L.C.D projector, screen etc. The students of spoken English classes and soft skills classes use this laboratory to learn and improve their communication skills. The expert teacher can create new exercises, can observe students’ performance .Teacher can assess students desk-top or can have a direct talk with students. Teacher can conduct tests and assignments. The objectives of this laboratory are many folded, out of which most important is to make students fluent in English language. The employers are constantly on lookout for individuals having excellent communicative abilities and interpersonal skills. There is a global requirement for candidates having competence in communication skills. To enable the students to understand and use the language swiftly and fluently. To create awareness among students about the importance of English language. To improve the communicative abilities of the students, such as pronunciations skills, listening skills, and conversational skills. The college has recently made a new updated ETNL 4.0 Language laboratory version available for students which help students by imbibing language skills seamlessly by listening to the standard pronunciations. Repeating the lessons and then moderated and evaluated by the linguistic experts instantly. 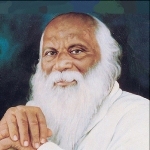 By offering a direct comparison of the learner’s voice with that of the linguist, all intricate aspects of the language can be picked up with ease. Listening one’s own pronunciation is the best method. The students can do a periodical evaluation to measure the progress as well as evaluate his/her language with that of the teacher. The facility is also provided to expert teacher to monitor each student independently without disturbing other students and guide them online instantly. The software has the facility to convert original passage stored in tapes into digital format. This software can also be used by the expert teacher for recording original passage and lessons. Teacher position is provided with control functions to monitor student positions. With this provision various batches, their session, timings and their respective lessons can be set. The unique features of options for listening to the recorded lesson and the student voice separately and stopping the action at selected student position for giving instructions enable the teacher to give personal attention to each student. The recorded lessons can be downloaded to the hard disk. Students can listen to the expert’s lessons and pronunciations, can repeat, record and reply them. Correction of pronunciation is also possible.